Five-time F1 world champion Lewis Hamilton has explained why he chose to run the #1 on his Mercedes during Abu Dhabi Grand Prix practice. Lewis Hamilton has explained his reasoning behind running the #1 on his Mercedes Formula 1 car during Abu Dhabi Grand Prix practice, despite “not liking it at all”. The #1 returned to F1 for the first time since 2014 after Hamilton was given permission from the FIA to use the number during opening practice in Abu Dhabi. Having won his fifth world championship earlier this year in Mexico, Hamilton adorned the number - which is reserved for the defending world champion should they wish to use it - on the nose of his Mercedes W09 in FP1. It was the first time since Hamilton has worn the #1 on his car since the 2009 season that followed his maiden title-winning campaign with McLaren in 2008, with the Briton preferring to retain his traditional #44 from his karting days since permanent numbers were introduced from 2014. 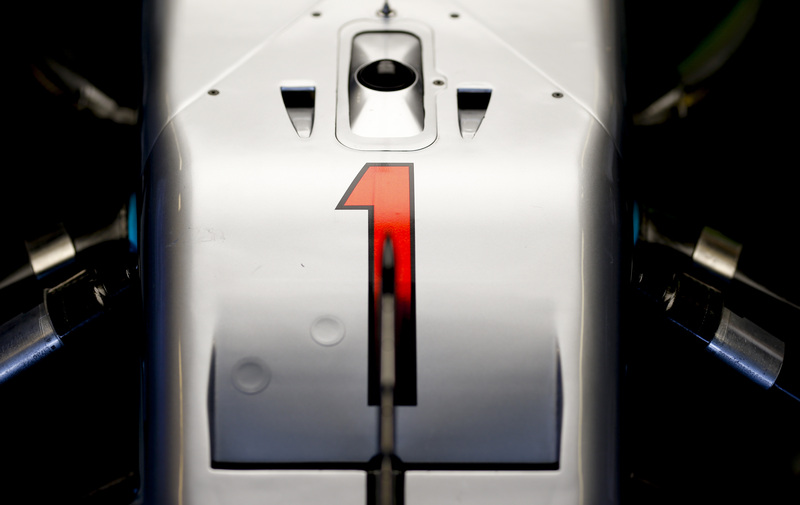 When asked about his use of the #1, Hamilton replied: "I personally don’t like it, don’t like it at all. "It was just for one session, so it doesn’t really mean anything. “The reason I did it is I’ve been here for six years and I remember when the team had number one, Jenson [Button] got the world title, and [then] moved to McLaren and took it with him. "It’s strange McLaren could have number one on the car. The next team can, wherever you go. “Since we’ve been world champion we’ve never had number one on the car and I thought it would just be cool to have it on the car for just one session. Hamilton says he has no plans to switch from his current #44 to #1 next year, adding that 44 is “special” to him and has become a symbolic part of his life. “44 is my special number,” Hamilton explained. “But everyone on my car, particularly, they were saying to me they are travelling and they’ll see a bus number 44 or a flight number 44, it’s becoming a part of their lives which is great as it’s exactly how it is with me."